53. Ore Stockpiling – Why are we doing this again? - KJ Kuchling Consulting Ltd. In many of the past mining studies that I have worked, stockpiling strategies were discussed and usually implemented. However sometimes team members were surprised at the size of the stockpiles that were generated by the production plan. In some cases it was apparent that not all team members were clear on the purpose of stockpiling or had preconceived ideas on the rationale behind it. To many stockpiling may seem like a good idea until they saw it in action. In this blog I won’t go into all the costs and environmental issues associated with stockpile operation. The discussion focuses on the reasons for stockpiling and why stockpiles can get large in size or numerous in quantity. 1. Campaigning: For metallurgical reasons if there are some ore types that can cause process difficulties if mixed with other ores. The problematic ore might be stockpiled until sufficient inventory allows one to process that ore (i.e. campaign) through the mill. Such stockpiles will only grow as large as the operator allows them to grow. At any time the operator can process the material and deplete the stockpile. Be aware that mining operations might still be mining other ore types, then those ores may need to be stockpiled during the campaigning. That means even more ore stockpiles at site. 2. Grade Optimization: This stockpiling approach is used in situations where the mine delivers more ore than is required by the plant, thereby allowing the best grades to be processed directly while lower grades are stockpiled for a future date. 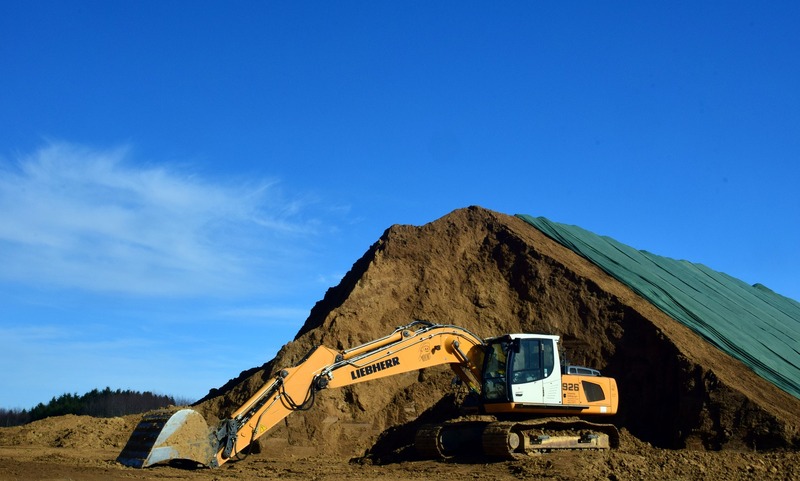 Possibly one or more grade stockpiles may be used, for example a low grade and a medium-low grade stockpile. Such stockpiles may not get processed for years, possibly until the mine is depleted or until the mined grades are lower than those in the stockpile. Such stockpiles can grow to enormous size if accumulated over many years. Oxidation and processability may be a concern with long term stockpiles. 3. Surge Control: Surge piles may be used in cases where the mine may have a fluctuating ore delivery rate and on some days excess ore is produced while other days there is underproduction. The stockpile is simply used to make up the difference to the plant to provide a steady feed rate. These stockpiles are also available as short term emergency supply if for some reason the mine is shut down (e.g. extreme weather). In general such stockpiles may be relatively small in size since they are simply used for surge control. 4. Blending: Blending stockpiles may be used where a processing plant needs a certain quality of feed material with respect to head grade or contaminant ratios (silica, iron, etc.). Blending stockpiles enables the operator to ensure the plant feed quality to be within a consistent range. Such stockpiles may not be large individually; however there could be several of them depending on the nature of the orebody. There may be other stockpiling strategies beyond the four listed above but those are the most common. Using today’s production scheduling software, one can test multiple stockpiling strategies by applying different cutoff grades or using multiple grade stockpiles. The scheduling software algorithms determine whether one should be adding to stockpile or reclaiming from it. The software will track grades in the stockpile and sometimes be able to model stockpile balances assuming reclaim by average grade, or first in-first out (FIFO), or last in-first out (LIFO). Stockpiling in most cases provides potential benefits to an operation and the project economics. Even if metallurgical blending or ore campaigning is not required, one should always test the project economics with a few grade stockpiling scenarios. Unfortunately these are not simple to undertake when using a manual scheduling approach and so are a reason to move towards automated scheduling software. Make sure everyone on the team understands the rationale for the stockpiling strategy and what the stockpiles might ultimately look like. They might be surprised. Posted in: Mine Economics, Mine Modelling, Mine Studies, Operations. Tagged: Feasibility Study, Mine Engineering, Mining, Resources. Whittle allows you to play with stockpiles, although I confess that I haven’t used that option very much. It’s a good tool though. There are some common stockpile pitfalls that the planner should consider. 1) Will the stockpile oxidize over time? If so how will this affect recovery? 2) What recovery factor should be used for fresh stockpile? Should it be the same as for run of mill ore? Most planners use the same number. 3) Is the stockpile grade tested or is is just a mathematical calculation at month end reconciliation? If the latter then you may get an unpleasant surprise when it comes time to mill the stockpile. 4) How is the stockpile treated for accounting purposes? Usually it shows up as an asset on the balance sheet and costs are removed from operating costs until the material goes to the mill. In any financial analysis one must consider the discounted cost of the “investment” in the stockpile and factor this into the economics. Good points. There is often more to proper stockpile operation than meets the eye. Degradation and water infiltration can cause handling difficulties, as well as the processibility changes that you mentioned, acid runoff etc, so one needs to understand what happens to that material as it sits long term. Then there is the issue if you don’t process it at the end and leave it as permanent dump, were environmental mitigations taken into account in its original design. Here in BC the amount of the closure security will increase according to the cost of disposing (or treating) of the stockpile if the stockpile is PAG.